Delicious Japanese Cooking Class in Tokyo, Japan - JAPAN COLLECTIONJAPAN COLLECTION Japan Collection est une plateforme de réservations pour réserver directement des services de haute qualité professionnelle, effectués par des prestataires japonais, exerçant en France et proposant des services variés sur toute la France. 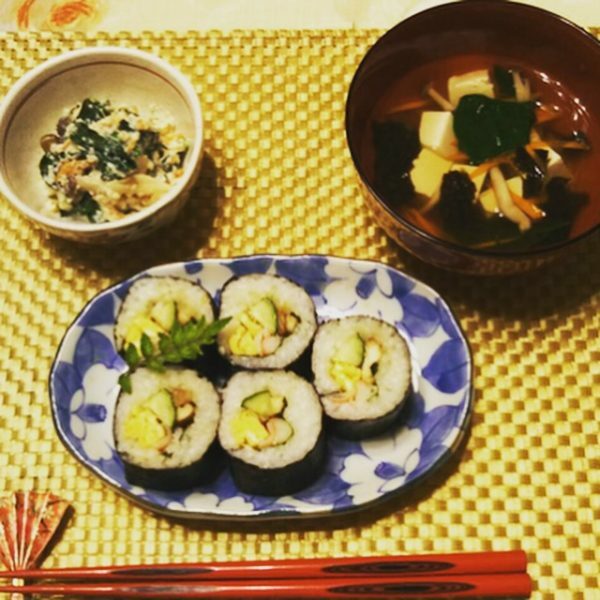 ‘Delicious Japanese Cooking Class’ is a place to learn how to cook Japanese homemade food! We will teach simple Japanese cooking in English. We try to make simple recipes, and want to teach you how to enjoy Japanese cooking! We will try to use simple ingredients, that you can get anywhere, and can cook Japanese food anytime when you go back to your country!! This lesson will teach you how to make sushi roll and small tofu bowl. After cooking and eating sushi we will serve Green tea(Matcha) and small Japanese sweet!! ‘Onigirazu – rice ball sandwhich’. and ‘Shabu shabu slada. After eating Onigirazu and Shabu shabu salad we will serve you green tea(Matcha) and Japanese sweet!! Contact : info@japancollection.fr or click here ! Please contact us before your reservation !